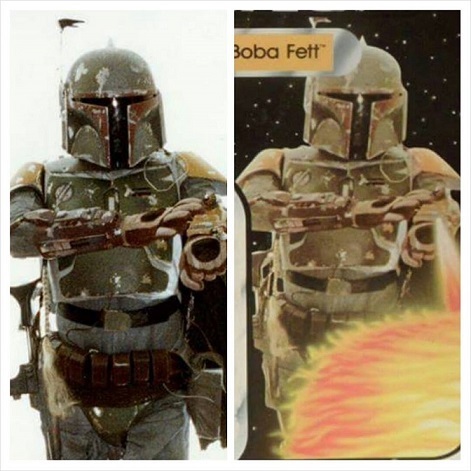 Kenner worked closely with Lucasfilm in order to immortalize the new villain of the Star Wars universe as an action figure. 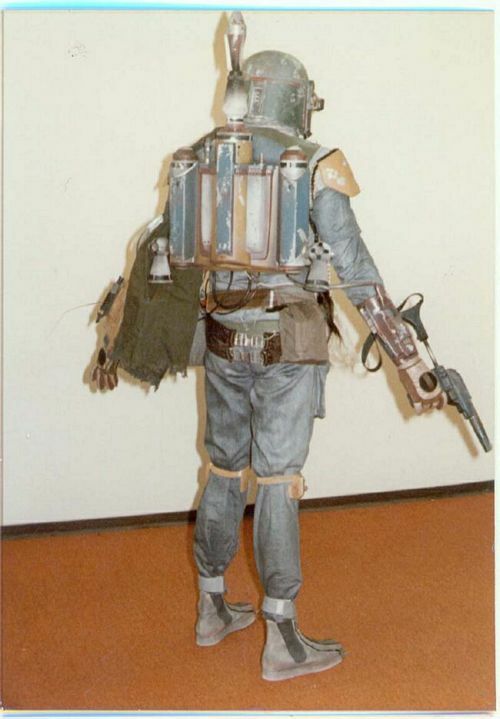 The costume and an actor to wear it were sent from California to Kenner's offices in Cincinnati, Ohio so that it could be photographed, measured, and otherwised used for reference in creating the Boba Fett action figure as well as the 12" version. This photography helped Kenner produce an initial conceptual figure which would have been the first of a great number of variations before the figure was finally offered to the public. 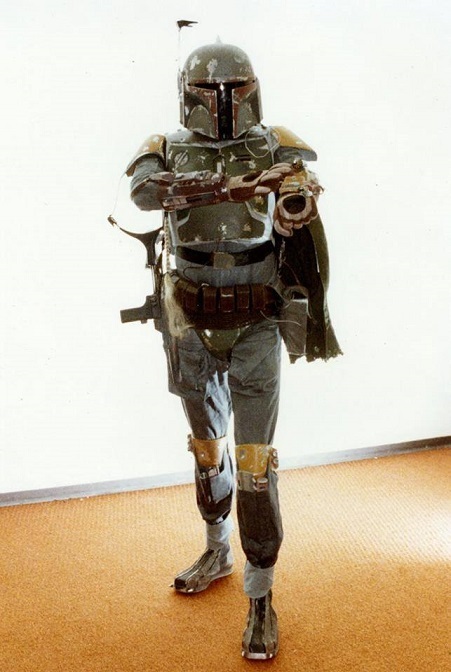 The images show the general costume from a few views, but the most interesting one is the one showing Boba Fett fire his wrist-mounted flame thrower. 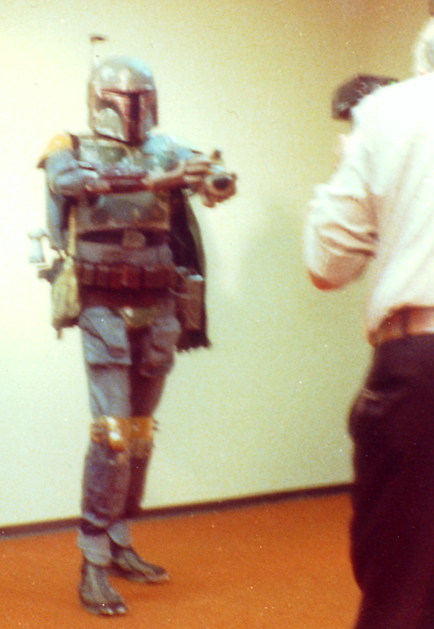 One of the photographs of that particular pose (from the point of view of the photographer in the picture) was then used by an artist to create the artwork first seen on the carded Toy Fair sample then ultimately on the widely recognized and coveted carded Boba Fett action figures sold worldwide.